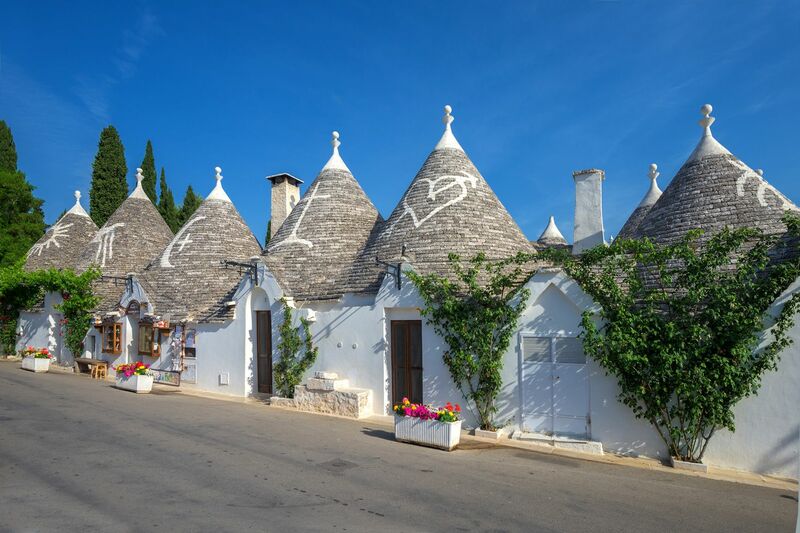 With varying landscapes lapped by the crystal clear waters of the Ionian and Adriatic Seas, an extensive coastline runs along the perimeters of Apulia, Italy's most easternly region is the latest to steal the hearts of the British public. Full of arid wheat fields, vast expanses criss-crossed with stone walls, beautiful beaches, and the traces of an ancient and marvellous history, this region deserves to be thoroughly explored: on the winding roads of Murgia, through the narrow streets of its towns, and along the seafront. 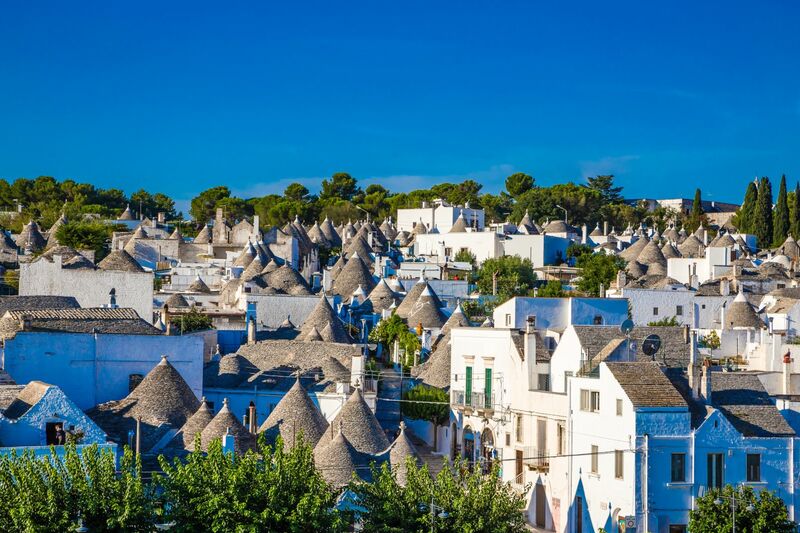 Varying landscapes, diverse accents and dialects, and rich cuisine, is all what awaits visitors to Puglia. ORECCHIETTE WITH TURNIP TOPS Homemade orecchiette (a typical type of pasta) with turnip tops, a few anchovies, and a hint of chilli (added according to your spice tolerance). One of Apulia's classic recipes, it is at its best between January and April (turnip season). Although 'braciole' in Italian means 'chops', in Apulia this dish is nothing like braised pork chops. Horse 'braciole' are horse meat escalopes seasoned with sheep's cheese, garlic, parsley and chopped onions, and then cooked in a tomato sauce. It's a typical dish within the region, and is often prepared for special occasions, like weddings and parties. You can't go to Taranto and not taste the mussels. Buy them fresh and already washed, then simmer them in a tomato sauce. Once they're cooked, sprinkle them with croutons. Find weekly weather forecasts for Puglia . Different criteria make it possible to predict with precision the best time of year to go to Puglia . A comprehensive weather score, made up of temperature indicators, bad weather predictions, sunshine levels and wind speeds, will allow you to choose the activities best suited to the weather conditions and therefore make the most of your holiday in Puglia . In terms of things to buy, Apulia is above all a destination for food lovers. Visitors can bring back some real gourmet products from the region: dried tomatoes, ricotta, olive oil, wine, etc. Ceramics objects (plates, dishes, decorative figurines). And more 'classic' items in Bari: clothing, jewellery, shoes, bags and accessories. One of the best shopping streets in this city is Via Sparano. Being a pedestrian zone, you can wander around in peace. Our journalists' reviews for you 19 hotels Italy . Take a look at our hotels, their facilities or their value-for-money score according to your departure dates so that we can find the best offer to suit you Italy . Book a hotel Italy it's never been so simple !